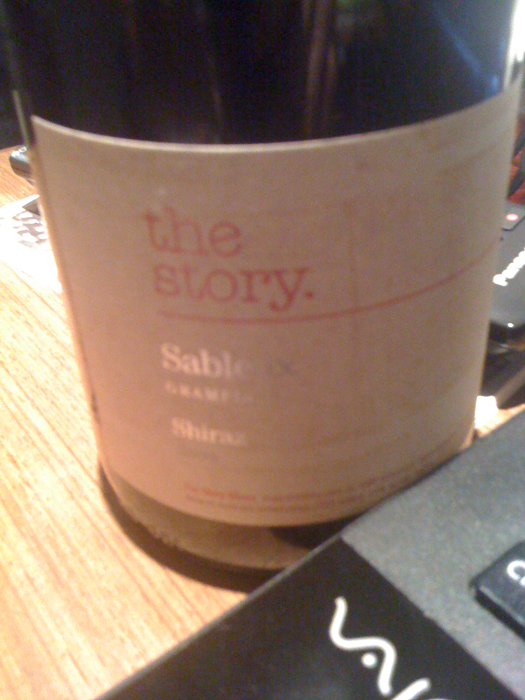 Sableux is French for ‘sandy’, used here as it describes the soil types found in the Garden Gully and Rice’s vineyards, the two fruit sources for this Shiraz. Interestingly I tried this alongside it’s brother, the Westgate vineyard Shiraz, and it wasn’t until the pair had been opened for 48hrs that I decided that this was my preferred wine. I think it’s an individual preference though, as both are smart drinks. The first think to notice is the very purple colour. It’s a wine that just looks juicy. No surprises then with the nose, which is loaded with concentrated boysenberry fruit and edged with creamy oak. There’s a smidgen of overripeness in there, though you’d have to go looking for it. What’s interesting (too me at least) is that after the juiciness of the nose, the palate is actually quite feminine, with a chalky, raspberries and cream flavour to it that remains quite light and pretty. The finish too is a surprise, with tighter, firmer fine tannins than the more full flavoured Westgate. It’s this finesse coupled with the sneaky tannins – without excess – that drags me over the line.